Afua Osei and Yasmin Belo-Osagie are founders of She Leads Africa (SLA), a media company that provides young African women across 35 countries with business and career advice. They currently have a network of about 350,000 women who learn from the riveting online content and outstanding events regularly churned out byShe Leads Africa. Afua and Yasmin are transforming the lives of millennial women across Africa and are doing all of this as a for-profit organisation and not a charity. They have been featured in several international publications including the Financial Times, CNN, CNBC Africa, Huffington Post and Black Enterprise. Yasmin Belo-Osagie is a former Mckinsey consultant. Through her involvement with SLA, she has helped nurture hundreds of aspiring, ambitious female entrepreneurs, with support from companies including Intel, Guaranty Trust Bank, Huawei, and Etisalat. In 2015, Belo-Osagie took five female entrepreneurs to China to meet with successful women entrepreneurs and China-based investors interested in Africa. Afua Osei has been recognized by Forbes Africa as one of the youngest power women in Africa (2014), named by Ventures Africa as one of the top 25 African innovators to watch in 2016 and one of the 30 Quartz Africa innovators in 2017. 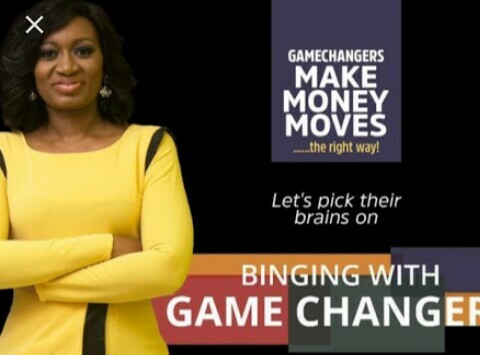 Join Seyi Banigbe as she chats with these young women who left careers in a global firm to make an attempt at changing the world by changing the lives of young African women. Enjoy the Episode! 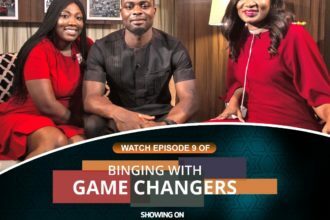 Watch the 4th episode of Binging with Gamechangers via links below.